JONATHAN EDWARDS. LA PASIÓN POR LA GLORIA DE DIOS. 1. 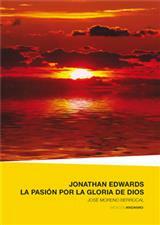 La vida de Jonathan Edwards. 2. Jonathan Edwards y el avivamiento. 3. Jonathan Edwards y las misiones.